In a divorce, the marital home is often the largest asset. In our experience, it can also be a large item of contention due to the emotional attachment one or both parties may have to the house. 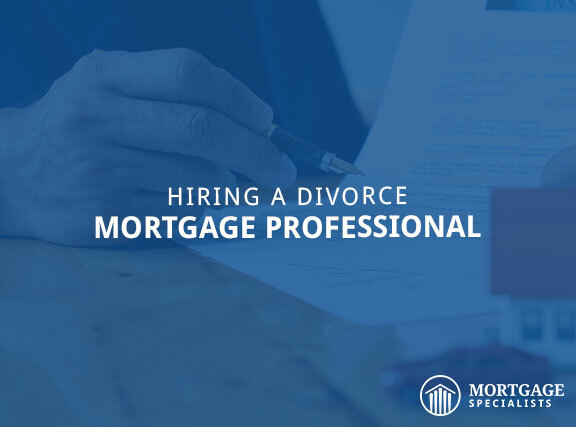 So, whether you’re planning on selling the home and splitting the proceeds or one party plans to keep the home and buy the other party out, it’s important to enlist the help of a divorce mortgage professional as early as possible. Brent Rasmussen, President of Mortgage Specialists, is a Certified Divorce Lending Professional. His experience and education in helping clients navigate divorce loans can help make the process simple and stress-free. Get in touch with us today by calling 402-991-5153.